Noosa is a picturesque seaside town located on Australia's Sunshine Coast. It's a resort town with many beautiful beaches, shops, restaurants and hotels and is a great place to begin your Fraser Island adventure! From Noosa you can decide to either join a guided tour of the island or rent or bring your own vehicle and do your own tour. It takes about an hour and a half to drive from Noosa to Inskip Point, where a barge departs for Fraser Island's most southern point. 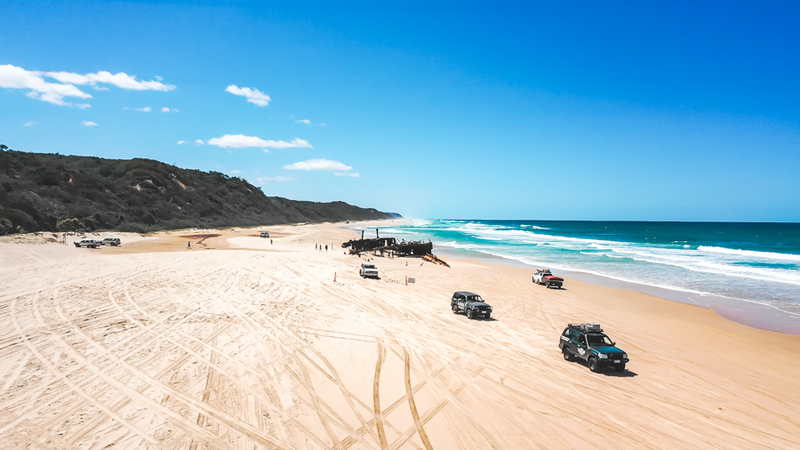 If you are driving yourself, the best way to reach Fraser Island from Noosa is to head north to Rainbow Beach, which is about 13 kilometres away from Inskip Point. This is the best option if you are doing a self-drive tour in your own 4WD or have chosen to rent a vehicle. As there are several crossings in a day, this gives you the flexibility to take your time while you make your way to the island. 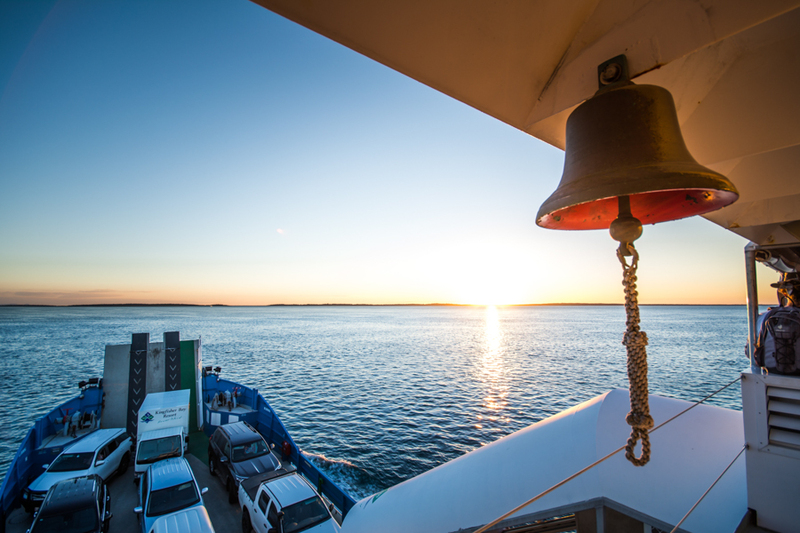 Be sure to know the ferry schedule and map out your trip ahead of time. Click here for Fraser Island tours departing from Noosa. The other option to see Fraser Island from Noosa is to join a tag-along or guided tour of the island. There are many tours that visit Fraser Island, many of which offer guest transfers from accommodation in Noosa. This option is best if you do not have your own vehicle and would like a guided tour of the island with an experience tour guide who will know all the ins and outs of Fraser! It's also a great way to meet new people and enjoy the experience of the island with like-minded travellers. 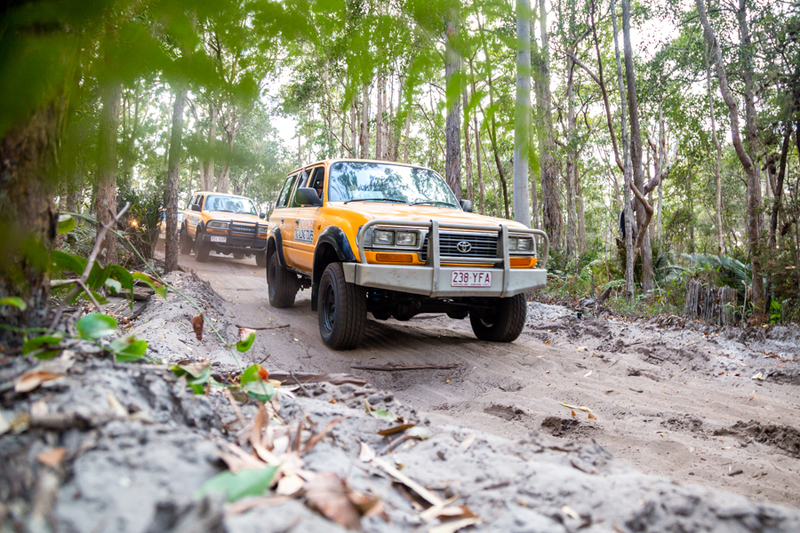 Touring Fraser Island in this way is the easiest option that will still allow you to have the optimal Fraser experience. While spending time in Noosa, you can enjoy its many beaches, shops and restaurants, many of which are located in the town centre. There is a lot to see and do in this seaside town, much of it centred around the beach lifestyle that the east coast of Australia is known for! Visitors often opt to stay here for a few nights before visiting Fraser Island to enjoy the beach, go for a swim in the ocean and take advantage of Noosa's great day and night life.